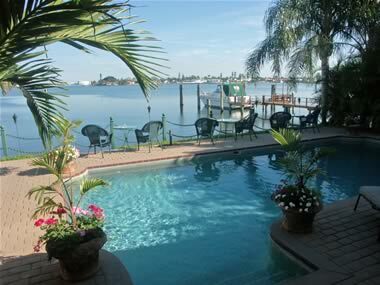 A private waterfront resort in St. Pete Beach, Florida - Plan your Florida vacation, romantic getaway or honeymoon trip to our St. Pete Beach, Florida, Resort - a small luxury hotel in Tampa Bay, Florida. 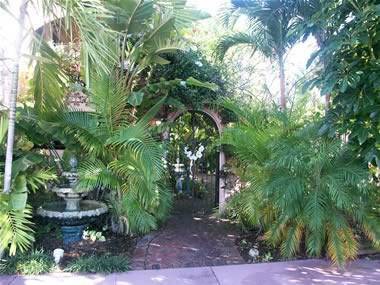 Plan your Florida vacation, romantic getaway or honeymoon trip to our St. Pete Beach, Florida, Resort - a small luxury hotel in Tampa Bay, Florida. Check our special rates for weekly and monthly packages. The perfect place for a romantic getaway or honeymoon trip or simply to escape everyday life, Pasa Tiempo Resort is an all-adult facility (21 and over). Young adults aged 17 and over are welcome when coming with their families. We also welcome business travelers. Dock space available - Boaters, call ahead to reserve your dock space. Long-term rentals are also available. Our Florida resort location is convenient to anywhere in the Tampa Bay, including Clearwater, Pass-A-Grille, Tierra Verde, downtown St. Petersburg, Stetson College, Eckerd College and Tampa International Airport. Enjoy a two or three night romantic weekend getaway or plan a honeymoon trip to our waterfront resort. If you would like to surprise someone special, order a gift certificate online. Pasa Tiempo Resort offers honeymoon packages, holiday specials, weekly and monthly packages. With our privileged waterfront location, exotic tropical courtyard and distinct service you can only find in a small luxury hotel, our Florida resort is the destination you have been looking for. Please check our rates and amenities. 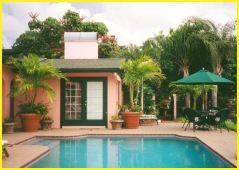 Whether you are planning an extended winter vacation or a weekend getaway in Florida, you will enjoy elegance and privacy. For your weekend getaway on the Tampa Bay beaches, or to stay at an unbelievable honeymoon destination, reserve your suite today. 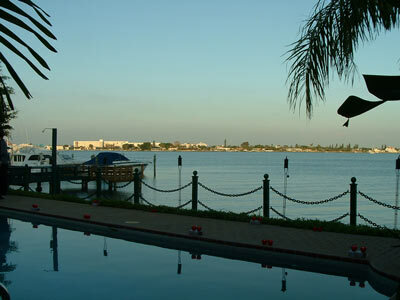 Pasa Tiempo Resort is located on Boca Ciega Bay, by the Gulf of Mexico in Tampa Bay, Florida. 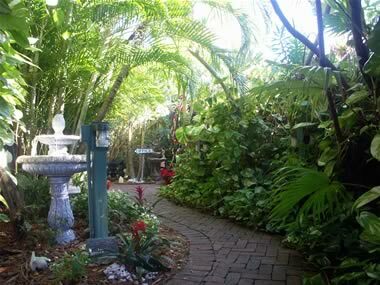 Walk to the beach or take a short drive downtown St. Petersburg. 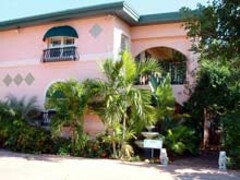 Pasa Tiempo Resort is a great alternative to luxury resort hotels or inns). Courtyard Suites: Living room, bedroom with king size beds. Dining area. Some with kitchens. Full bath - some with Jacuzzi tubs. Waterfront Mini Suite: Living room/porch overlooking dock and bay. Kitchen. Bedroom with queen size bed and fireplace. Two bathrooms. Private outdoor whirlpool overlooking the bay. Waterfront Executive Suite: Spacious living room, bedroom and kitchen on second floor. Large deck overlooking the dock and the bay. Located just 45 minutes south of Tampa International Airport, Pasa Tiempo Resort is the perfect destination for travelers from all over who would like to explore the best of the Gulf Coast of Florida. Pasa Tiempo Resort is also just 90 minutes from Orlando and a short drive from downtown St. Petersburg and its art and business districts.